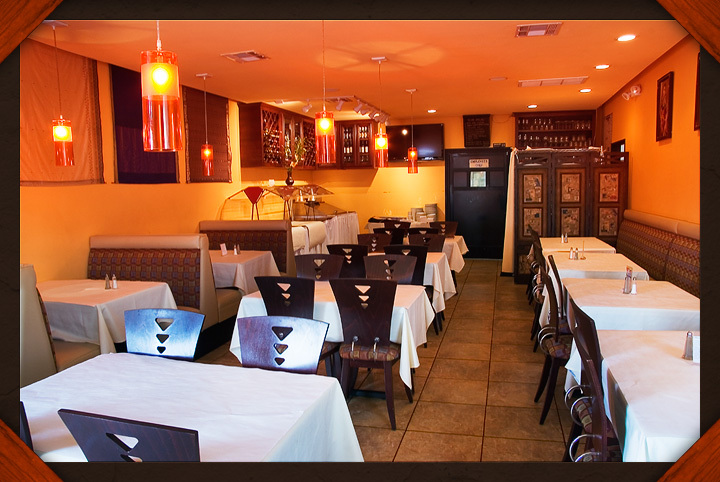 We are a restaurant that showcases the foods of colorful India. Steeped in history and traditions, India combines western and eastern influences with it's own strong sense of identity to create one of the world's most diverse nations. India's cultural heritage reflects religious, architectural, philosophic, artistic, and culinary influences which have been developed, absorbed, spread and filtered throughout the country's vast indo-subcontinental geography. From northern meat infused dishes to southern seafood plates, to accompany a variety of rices (pulao/biryani) and breads (naan/poori/paratha), India's cuisine truly presents a colorful array of choices to delight the palate. Vegetables and fruits as well as spices, aromatics, and sweets are blended together in masterful savoury creations to tantilize the senses. Similarly, Manas Indian Cuisine mirrors these relishing indian flavours by creating vegetable options, meat curries, rice and bread dishes in the form of tandoori curry, fried and baked selections. Ask about our homemade chutneys and yogurts as well as our tasty desserts. We adjust the spicyness of our dishes to your request. We use 100% vegetable oil that has no trans-fat, no cholestrol, and we use no MSG. Our meats are select portions and our seafood and vegetables are choice and fresh.